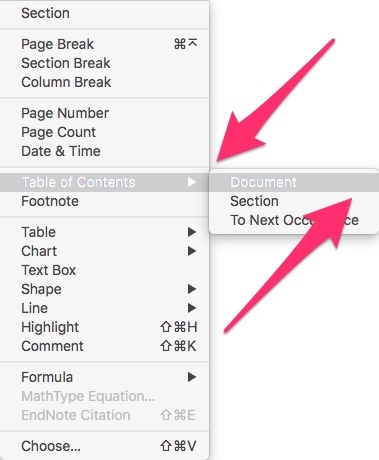 In this tutorial, we’re going to look at how to create a table of contents (TOC) in Apple Pages. One of the nice things about Pages is that it automatically updates the TOC as you add and delete content. No need to manually update or remember to refresh the TOC. Also, as the entries in the TOC are active, if you click on it, it takes you to that location in the doc. When you export to PDF, the TOC is included and entries are active links. Some Pages templates, such as these sales and marketing templates, include a table of contents, which you can edit. First, apply paragraph styles to the headings in your document that you want to appear in the TOC. These headings are added to the TOC automatically. Place the pointer where you want the table of contents to appear. Choose Insert > Table of Contents (from the Insert menu at the top of your screen). Document: Gathers entries from the entire document. Section:Gathers entries from only the section where you’re inserting the table of contents. To Next Occurrence: Gathers entries between this table of contents and the next table of contents if, for example, your document includes multiple TOCs. Click anywhere in the table of contents to select it. In the Format sidebar, click the Table of Contents tab, then select the paragraph styles you want to include. Want to add emojis to your Apple documents so people think you’re hip and cool and in with the In Crowd? Well, I do. iWork Pages offers literally hundreds of emojis. Seriously. You’re looking to bling up your status report, then you’ll find something here. So, where are these puppies? 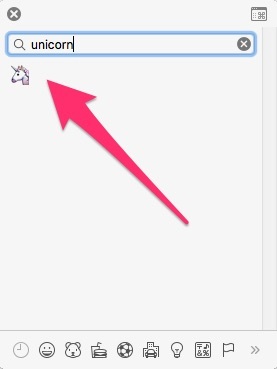 Click Edit, Emoji & Symbols. Use the side scroll bar and scroll down and down till your find the emoji you want. Got a problem with Apple Pages or Numbers? Ask us on Facebook or Twitter. If you have a more recent version of Pages, you might be wondering where are the Special Characters gone. They used be there, right? But where are they now? The Special Characters are there; they’re just a bit hidden. 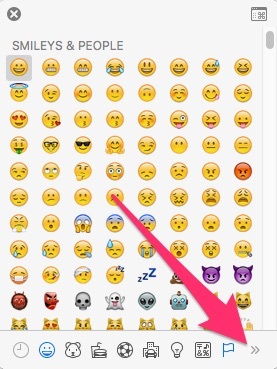 If you have a new version of Pages, Special Characters are hidden under Emoji & Symbols. Click the little arrow on the lower right. Got a problem with Apple Pages or Numbers? Ask us on Twitter. To move the item to the right: Press Tab. To move the item to the left: Press Shift-Tab. In this example. I indented the second bullet point to the right using Press Tab. To end the list, press Return twice, or press Delete on your keyboard. Want to create lists with special characters in Apple Pages? 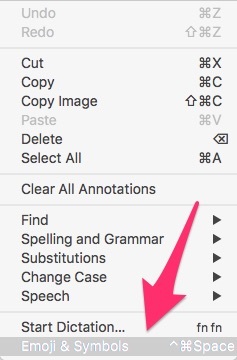 Click Edit > Special Characters, then click a character from a bullet or star menu. Note: From 10.3.3, Special Characters are called Emoji & Symbols. 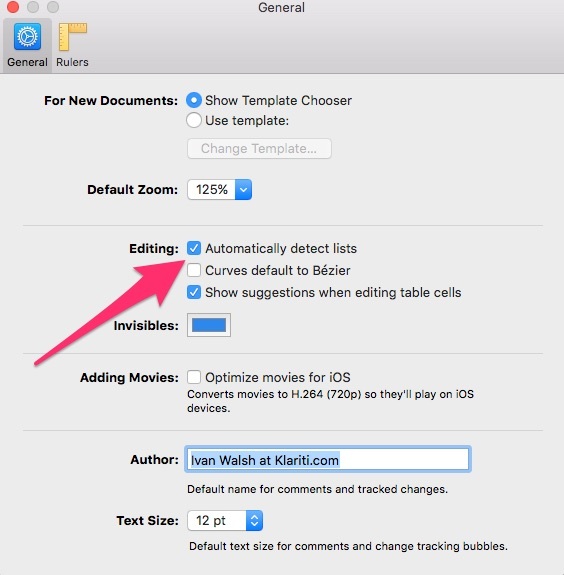 If you want to create lists automatically in iWork Pages, then this tutorial will help. The first thing to do is to turn on the setting in Preferences, then start typing your lists. Of course, if this annoys you or gets in the way, then just turn it back off. In your document, type a bullet, letter, or number, then enter the first item in your list and press Return. Pages automatically adds a bullet, letter, number, or character to every subsequent item in the list.